Recently in March, We heard about CBSE Board Paper has Leaked, both Class 12 economics and Class 10 mathematics exams. Students in Delhi Protest Against Decision To Hold Re-Examination. Considering the situation Microsoft developed encrypted security solution for question papers. CBSE came under heavy criticism this year following leaks, has the partnership with tech giant Microsoft India to digitally encrypt question papers for Class X and XII examinations and prevent such leaks in the future. It is really a good initiative taken by Microsoft that enhances security and seamless distribution of the papers. Moreover, the solution was successfully tested as a “Pilot project” in the recently held Class X compartmental examinations, across 487 examination centers with approximately 4,000 students. Anil Bhansali, Managing Director, Microsoft India (R&D) and Corporate Vice President, Cloud and Enterprise said, “We have developed for CBSE an innovative solution which makes question papers leak-proof until 30 minutes prior to the start of the examinations. Note* All the Examination papers are watermarked in order to track in case of a leak. 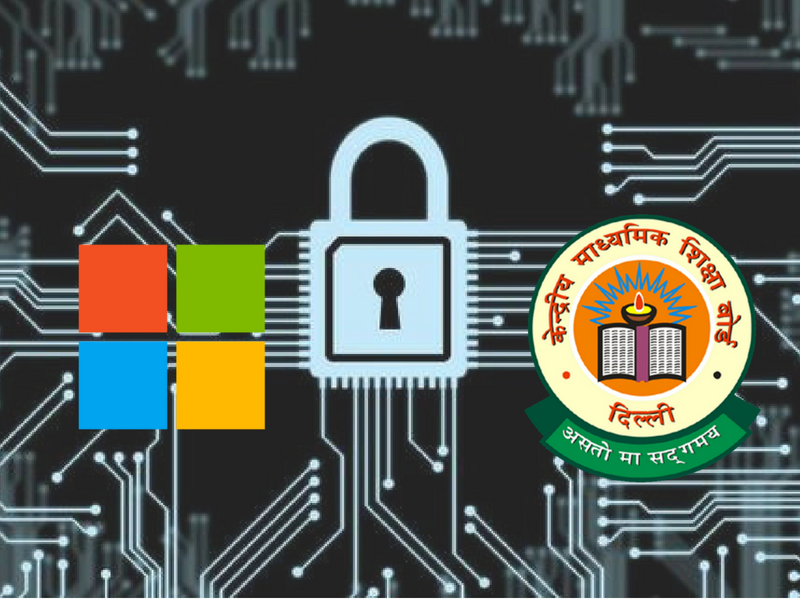 The system makes a secure process of taking the CBSE exams, the overall process was automated and highly encrypted, which takes two-factor authentication and access to download the exam papers at the examination centre was given only 30 minutes prior to the start time and the whole process is tracked by the system using a software solution built on Windows 10 and Office 365. The Authentication process may be followed by the OTP (one-time password) based, biometric-based or Aadhaar-based. Now the distribution of examination paper will also become an easy process, As it is sent by email to the respective centres with a link to OneDrive, a file-hosting service operated by Microsoft, where an examination paper, specific to the exam centre can be downloaded.